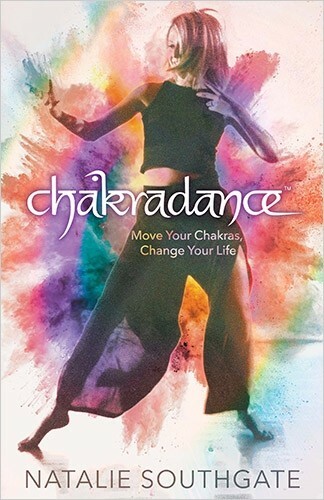 Move your Chakras, Change your Life with Chakradance is also a kind of guidebook, except that it is a guide for the most profound journey any of us will ever take—the journey within. It invites us into the unknown wilderness of our own being. 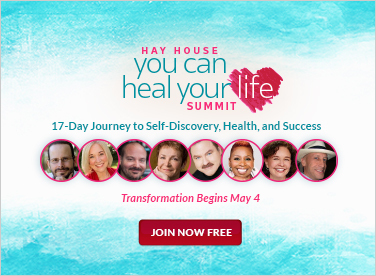 On this adventure we will discover our true, authentic self, which will ultimately lead us to a life of freedom, flow and balance. I didn’t write this book because I have all the answers to life, but because I’ve been fortunate to discover some really great tools that can help any of us on our life’s journey. I believe this journey is ultimately about remembering who we truly are, and then connecting with others and the world from this place of truth. Life can be fragile and fleeting in the grand scheme of things. It is sacred and meant to be lived and embraced to the fullest. As with any journey we undertake, planning needs to be done ahead of time so we can get the most out of the experience. The following preparations will help you get ready for your dancing adventure. When I first began dancing the base chakra, I used to find the music very irritating. I’d struggle to find the right movements in my body, and I felt awkward and uncoordinated. I would often find myself distracted in the dance and start thinking about what I was going to have for dinner later that night, or what shopping needed to be done. My feelings, thoughts and sensations were all indicators of the imbalance I had in my base chakra. My experiences in the dance were simply mirroring the way my base chakra was functioning in my life at that time. As I’ve continued on my Chakradance journey, my base chakra has become far more balanced. I now find myself surrendering freely to the tribal beats and grounding moves. I am now far more comfortable in my own body and that is reflected in my dance. Creating your own space where you can dance and practise your meditations and reflections is a way of honouring the sacredness of what you are doing. It is a way of honouring the deeper part of yourself that you will be connecting with on this journey. Creating a sacred space really just means preparing a safe space where you feel nurtured and completely comfortable letting go. I’ve found it’s helpful to physically clean the space first. When we tidy up, it shifts the old, stuck energy in the space. We can then bring into the space anything that feels sacred or meaningful for us. I like to light a candle (to symbolically bring in light) and burn essential oils (to infuse the space). I also have a beautiful sculpture of an ancient goddess that a close friend gave to me at a particularly challenging time in my life. For me, the goddess symbolises strength and power and serves as a reminder of what I have inside. Finally, I have a set of chimes that I ring at the beginning and end of my dance or sacred work, which helps in the ‘holding’ of the experience for me. When I studied Jungian psychology, I learnt a lot about the concept of ‘holding.’ It refers to a safe container where we can unfold our inner world. Creating a sacred space is like creating our very own container, almost like a womb, where we can birth new parts of ourselves safely. The other wonderful thing about creating a sacred space is that it helps us surrender more quickly into our experiences. Our space holds the energy and sacredness of previous energy work. Over time this continues to build, and we start to feel the difference the minute we arrive in the space. Our sacred space becomes our safe haven, a special place we can retreat to whenever we feel the need to create a sense of calm and peace or want to simply spend time with ourselves. Most of us won’t have a spare room to set up especially for this purpose, but that’s okay. A sacred space can be set up in the corner of the bedroom or living room. It can be a space in the garden or on the back porch. It doesn’t matter where it is or how big it is, as long as it feels safe and nurturing and there is enough room to dance without bumping into anything. If you spend time travelling and staying in hotel rooms or as a guest in other people’s houses, you can still create a sacred space wherever you are staying. Simply bring into the space one or more of the objects or rituals that are meaningful to you in your own sacred space at home, like lighting a candle or imagining filling the room with light. You can also create a sacred space within that is available wherever you go. I see my inner sacred space as a clearing in a forest. There is a beautiful waterfall flowing into a sparkling river. A rainbow of colours dance in the reflection of the water. I can smell the perfume of exotic flowers. Whenever I close my eyes and go to this space, I feel at peace and relaxed. Experiment with creating your own sacred space, both in the outer world and within, so that there will always be sacred space available to you when you want or need it. I let go of all that has happened today. I am fully present here in my sacred space. I am open to the insight and guidance my dance has for me. Setting an intention isn’t just a superficial act. 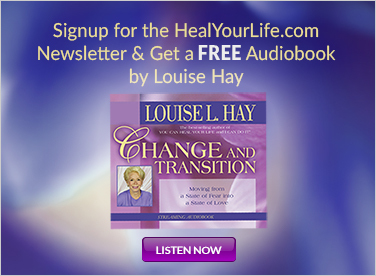 When we do this, we are communicating with our inner world and preparing ourselves to start something new. I like to see the intention I am setting as a laser beam of focused energy sending a very clear message that I am here in this moment and ready to commit to the work that needs to be done. After setting your intention, let it go. This allows you to be fully present in your practice, while trusting that your inner world will respond. We don’t need to force anything or try too hard. It’s like throwing a fishing line out into the sea. Like a fisherman, we stay calm and committed, waiting for what comes. While it may seem contradictory, letting go of expectations is an important aspect of intention setting. Sometimes our conscious mind has a fixed idea of what it thinks will or should happen, but our inner world has other ideas. Staying open and allowing the dance or meditation to simply unfold allows for more spontaneity and grace in the process. Setting an intention doesn’t just work in our sacred space as we prepare to dance. Setting an intention as you wake each morning is also a great habit to start practising. The intention you set could be something like being more fully present in each moment, bringing an open heart to every exchange you have throughout the day, or whatever has meaning for you in that moment. The simplest way to set an intention is to close your eyes and take three slow, deep breaths. With each breath, become increasingly more present in the moment. From this place of centred calm, recite either silently or out loud a simple positive statement of intention. Finish by again taking three deep breaths and opening your eyes. That’s it. Then proceed with your dance, meditation or your day. Every day, we absorb different energies into our energy fields. When we spend time with other people, it is unavoidable that we literally take on some of their energy, both positive and negative. Likewise, fragments of the energy from places we visit can get absorbed into our fields. And of course, our own thought patterns and emotions can also cause our energy fields to become heavy and dense. Just as our physical bodies need to be cleaned, stretched and exercised, so too do our auras need looking after. To maintain good energetic health we need to cleanse our field daily just as we shower our physical bodies or brush our teeth. The clearer our energy field, the more alive, energised and vibrant we feel. Before you dance, meditate or carry out one of the exercises in this book, it is a good idea to spend a couple minutes cleansing your energy field. Below are a couple of visualisations that for me. After you have done them a few times, you may find that your own visualisations start to come to you. Feel free to let your imagination guide you towards what you most need. Stand relaxed with your feet planted firmly on the ground. Soften your breath and imagine a white light washing all over you like a waterfall. Visualise the light dissolving all unwanted energies. Imagine this light moving through every part of your physical body and your entire energy body. Continue to visualise the light pouring over you until you feel completely cleansed. You may intuitively feel like changing the colour of the light on different days or at different times. Trust whatever feels right for you. In addition to doing this before you dance or meditate, it’s a great idea to do this exercise in the shower, where you can use the running water as part of your visualisation. This can then become part of your daily cleansing ritual, where both your physical and energy bodies are purified. I also use this visualisation as I walk through my front door. Part of my daily routine for years has been to visualise a stream of white light shining right through me and around me just before I step inside my door. My intention is to release anything that is not mine or not needed before I step into my home. Sit quietly and take three slow, deep breaths. Visualise a mesh door made out of light in front of you. See yourself walking through the door and imagine all the unwanted energies attached to you being filtered out as you move through the mesh. These unwanted energies may be your fears, worries, tiredness, negative thought patterns, and stuck emotions. Next, see yourself standing on the other side of the door feeling cleansed and purified. You may then want to walk through another door, made of finer mesh. Continue this visualisation until you see your energy field shining a pure white light. These techniques are most powerful when we repeat them often. I recommend experimenting with the exercises and finding a daily practice that is simple and easy to stick to. It can help to choose regular times to practise each day, like when you first wake up in the morning or during the last few minutes of the day before you go to sleep. Then, with time, they will become a natural part of your daily routine. These exercises don’t need to take a lot of time. Just a few minutes on a regular basis can yield incredible results.